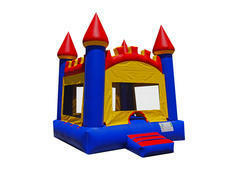 Castle bounce houses are excellent for parties since it could be used for either boys or girls. Not to mention it is also 2 feet bigger than all our regular bounce houses. It has more bouncing space which only means one thing, more kids are allowed to jump at the same!